The most interesting piece from Oris this year, was not a new version of their in-house powered timepiece – although they did introduce another one of those. 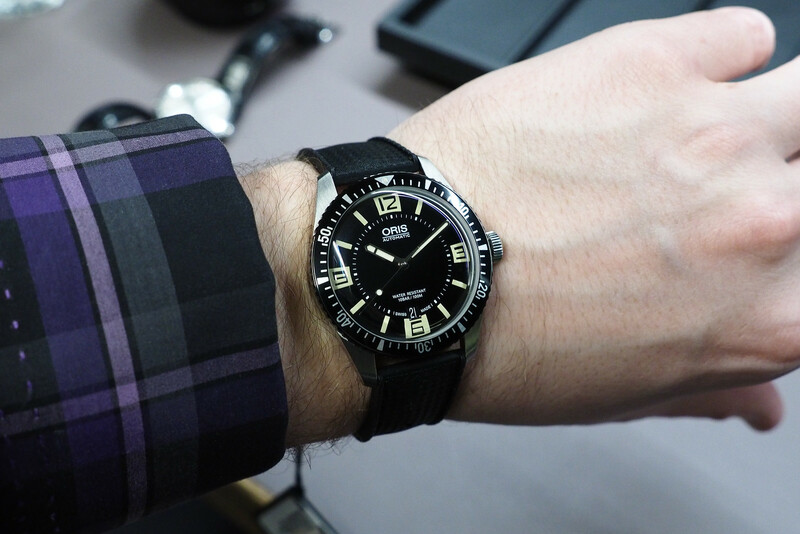 It was the vintage inspired Diver Sixty Five. 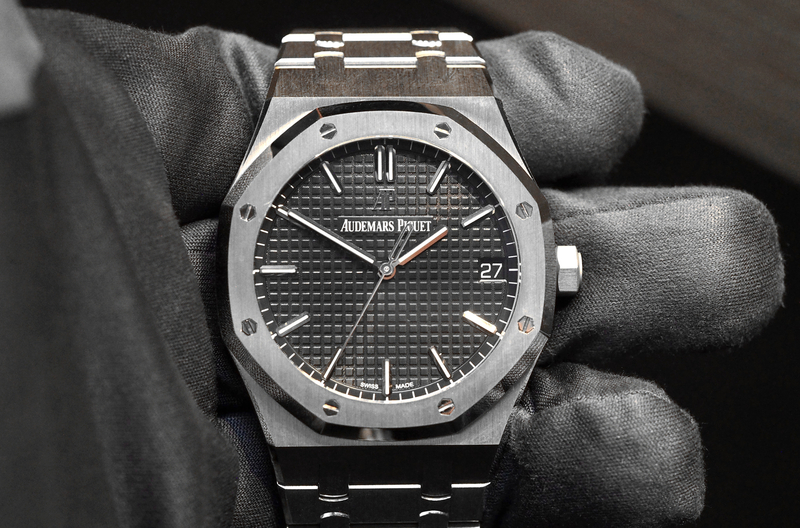 At 40 mm in diameter, it is slightly larger than the original diver from which is was inspired. The dial is not the same either, but very close. And while the date has moved from the 3 o’clock position to the 6 o’clock, it still mostly maintains the look of the past model. 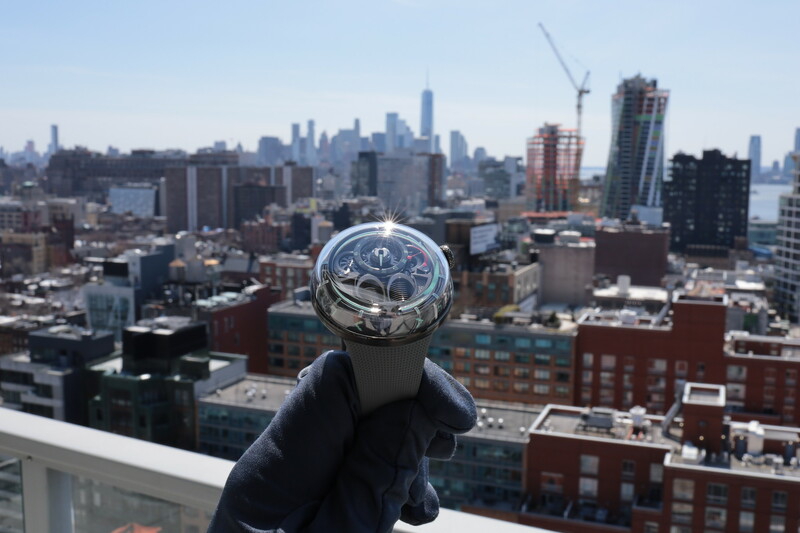 An aluminum uni-directional bezel and domed crystal sapphire sit atop a stainless steel case. 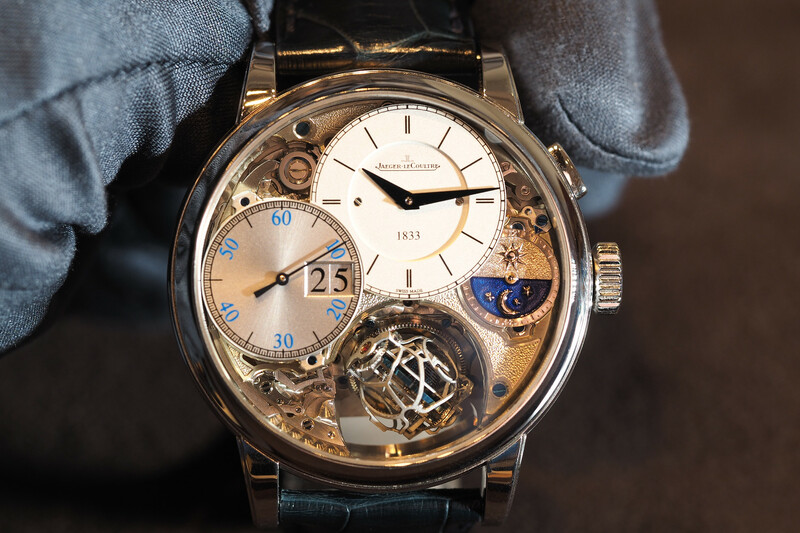 The caseback is solid and the crown is locking. However, water-resistance is only 100 meters. That said, it should be sufficient for recreational use. You can choose either a fabric Nato strap or a tropical rubber strap, although the latter is the only way to go in our opinion. Powering the Diver Sixty Five is a modern automatic mechanical movement running at 4Hz. The modern Sellita SW200 has a power reserve of 38 hours, 26 jewels, stop seconds function, quickset date and can be wound by hand. And best of all, since it helps keeps the cost of the watch down. Retail is only $1850. Straight lugs, no crown guards and a nicely domed sapphire crystal – combined with a throwback dial, including faux-patina, give the watch an unmistakable vintage feel. This is a great looking timepiece and an excellent value.